It’s a simple yet important question. That’s why Elizz, a company powered by St. Elizabeth, a national not-for-profit health care organization, has developed an interactive online tool: How are you feeling today? or #HAYFT. It’s designed to help you understand you’re not alone and others are feeling the same way. 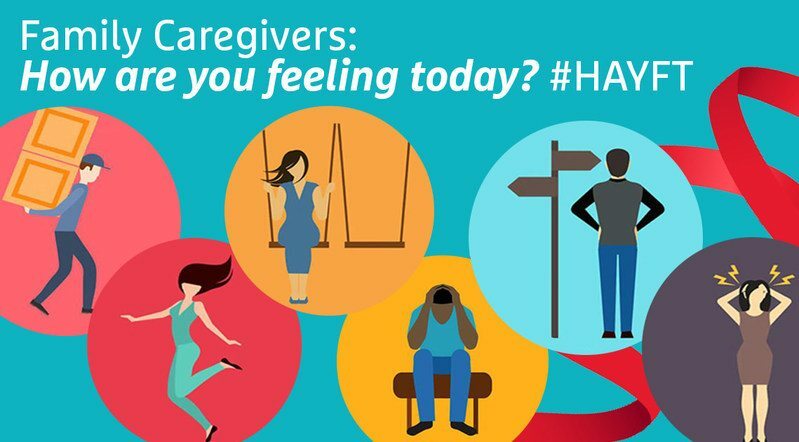 Caregivers can go to Elizz.com and click on one of six feelings they may be experiencing: feeling stressed, could use a friend, feeling like pulling my hair out, not sure where to go next, I may need help and feeling awesome. They’ll receive content and tips tailored according to their response and can also see how other caregivers in their city responded and explore how caregivers are feeling around the globe. In a bid to help address the feeling of isolation family caregivers often experience, Elizz is preparing to launch Tess, a chatbot to hold conversations through text messaging. According to initial research, 88 per cent of users responded positively when asked, “Did that help?” Elizz has also developed an online program to support caregivers in the workplace and create caregiver-friendly workplaces. Caregiver stress levels are highest during the holidays, March break, tax season and the end of the summer vacation, Elizz reports. Conversely, the number of caregivers ‘feeling awesome’ is highest at the start of the New Year and back to school. Together, Elizz and Saint Elizabeth provide in-home care and virtual services to more than 18,000 people a day, delivering a total of 50 million visits in the past 10 years.